We are striving to be a loving, spiritual family that has joined hands in the service of God seeking daily to grow into the image of His son, Jesus. 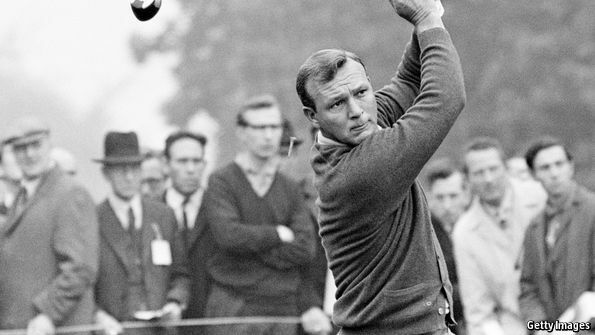 It was the final hole of the 1961 Masters Tournament, and golf legend Arnold Palmer had a one-stroke lead and had just hit a very satisfying tee shot. He felt he was in pretty good shape. As he approached his ball, he saw an old friend standing at the edge of the gallery. The friend motioned him over, stuck out his hand and said, “Congratulations.” Arnold later said, “I took his hand and shook it, but as soon as I did, I knew I had lost my focus.” On his next two shots, he hit the ball into a sand trap, then put it over the edge of the green. He missed the putt and lost the Master’s because he had first lost his focus (Carol Mann, The 19th Hole, quoted in Reader’s Digest). Many people forget what their purpose in life is. Many more never knew. What is our over-riding, number one goal? The Bible tells us: “We make it our goal to please [God]” (2 Corinthians 5:9). Said another way: “Whatever you do, do it all for the glory of God” (1 Corinthians 10:31). Our number one goal in life is to honor and please the Lord. This takes an obedient serving heart. It takes a heart that wants to worship God in his church. But the entire focus is to please Him. This entry was posted in Front Page. Bookmark the permalink. Who shall separate us from the love of Christ? “I wouldn’t know what to say,” the little girl replied. “Just say what you hear Mommy say,” the mother said.  When we put our cares in God’s hands, He puts His peace in our hearts.  Gratitude should be a continuous attitude (expressed to God, expressed to people).  What we let into our minds shapes the state of our souls.  God chooses what we go through; we choose how we go through it.  Courage is fear that has said its prayers.  When we keep our mind on God, God gives us peace of mind.  God takes us into His darkroom to develop our character.  When God stretches our patience, He is seeking to enlarge our souls.  When you stop changing, you stop growing.  In prayer, God hears more than just words; He listens to your heart.  God invites us to burden Him with what burdens us.  If we don’t come apart and rest awhile, we may just plain come apart.  If you feel that you have no faults, that makes another one.